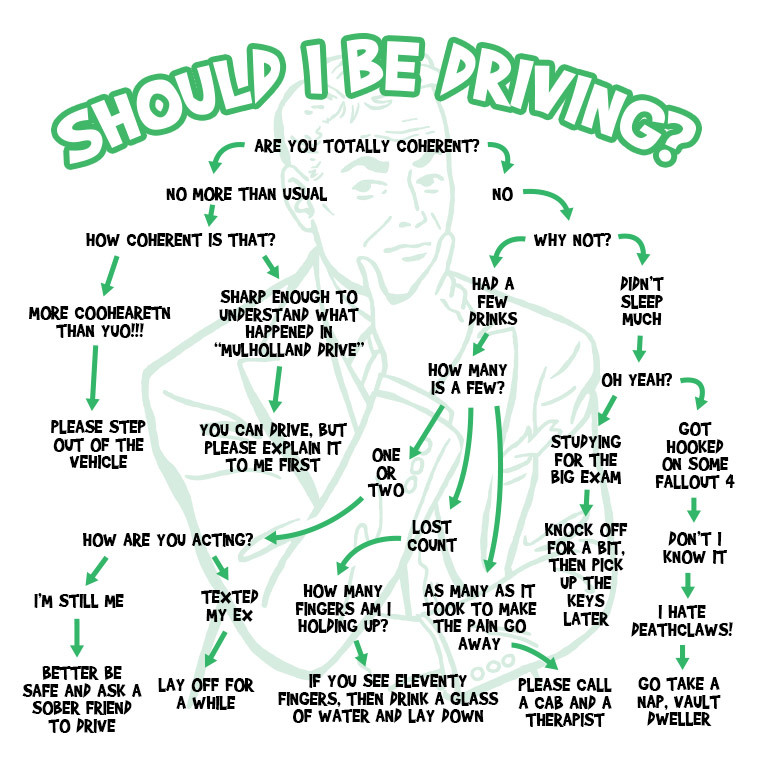 Infographic: Should I Be Driving? Impaired driving and drowsy driving are two major problems in the United States. In 2013 alone, there were 72,000 crashes that were caused by drowsy driving, according to the National Highway Traffic Safety Administration. Even worse, the CDC reported that 9,967 people lost their lives as result of alcohol-impaired driving crashes in 2014. For these reasons, it’s important for everybody to get enough sleep before they get behind the wheel. SleepHealthFoundation.org suggests that teens get at least eight hours of sleep each night, while adults require no less than seven hours. In addition, before you go out drinking, it’s important to designate a driver and never allow friends to drive impaired. With all that being said, the infographic below provides a lighthearted take of when it’s okay to get behind the wheel. Laugh Brake: Have you seen the pictures of a Pakistani man who used a sedan to steal a cow?